Francisco Tárrega (1852-1909) was one of the most important guitar composers of the 19th century. Many of his works became instantly famous, and have stayed in the repertoire forever. Tárrega’s works are imbued with the sounds, colours and perfumes of his native country Spain, conjuring up visions of landscapes, festivals and folklore. His most famous piece 'Recuerdos de Alhambra' is a perfect example: intimate, sensuous and melodic, its virtuosity in service of the musical expression. 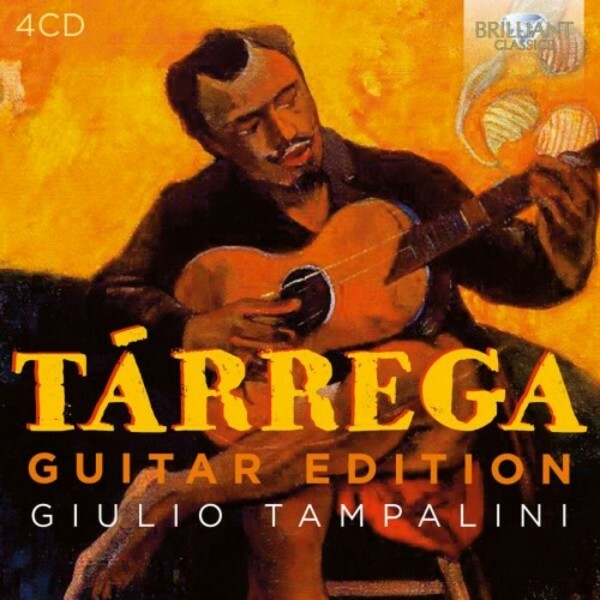 This set presents the complete guitar works by Tárrega, as played by the eminent guitarist Giulio Tampalini, who has already made a splendid recording for Brilliant Classics of the complete guitar works by Llobet, to great critical acclaim. The booklet contains excellent liner notes written by the eminent Angelo Gilardino. 17. Kinderszenen, Op.15: VII. 'Träumere"